Acetate as green solvents are widely used in all fields. 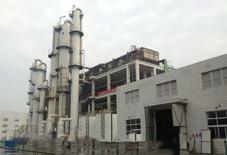 Our company adopts continuous esterification process to synthesize the corresponding acetate. Ethyl acetate and propyl acetate can be efficiently converted. The flexible production of different acetate products is realized in the same set according to the market situation. In this way, investment is reduced and anti market risk capability is increased. Acetates include ethyl acetate, acetaldehyde reduction, butyl acetate, amyl acetate and etc. As environmentally friendly solvent, they are widely used in areas such as solvents, monomers, plasticizer, surfactants and polymers. Acetate process, acetaldehyde, alcohol ethanol dehydrogenation and ethylene addition. Condensation with acetaldehyde perishable raw materials not suitable for long-distance transport, it is only suitable for the area which is built in raw acetaldehyde material; the process of ethanol dehydrogenation process is suitable for promoting in the rich and cheap areas of ethanol; and ethylene addition is suitable for areas with ethylene resources. In comparison, the esterification is less restrictive and more suitable for small scale production. Main production methods including n-butyl acetate-acetic acid esterification and butylene acetate method. In comparison, acetate-butene additive has simple process, lower cost of raw materials and friendly production process and environment. It has a large advantage but there is also a problem of high purity butene materials that are not cheap. Propyl acetate and amyl acetate production is currently dominated by esterification. 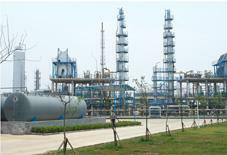 Based on the above reasons, our company technical using acetic acid and the corresponding alcohols such as ethanol, propanol , isopropyl alcohol, butyl alcohol as the main raw materials and using continuous esternization method to Synthesize the corresponding acetate. 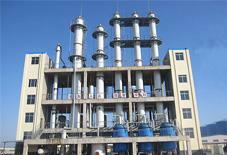 Compared with the existing process, the technology adopts catalytic distillation process which can realize the efficient flexible production of ethyl acetate, propyl, ester, butyl and other products.